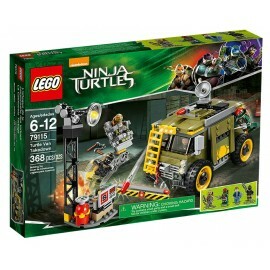 Teenage Mutant Ninja Turtles There are 10 products. 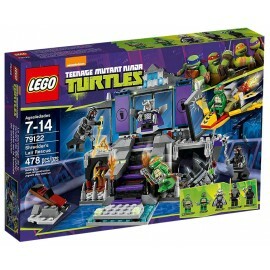 Free Michelangelo from Shredder’s Lair with throne/escape pod and collapsing stairs, flying Turtle vehicle and 5 minifigures. 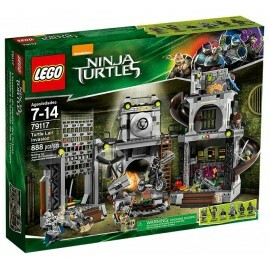 Protect the Turtles’ home in Turtle Lair Invasion with surveillance room, slide, prison, exploding wall, slide-out stairs and 6 minifigures. 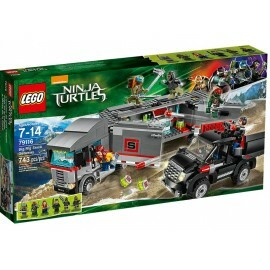 Save April and speed away in Big Rig Snow Getaway with Big Rig truck with mobile lab and ooze barrels plus SUV, 8 weapons and 6 minifigures. 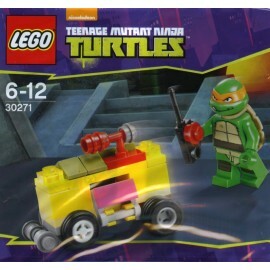 Speed to rescue Michelangelo in Turtle Van Takedown with fold-out flick missiles, barricade gate with blow-up function plus 4 minifigures. 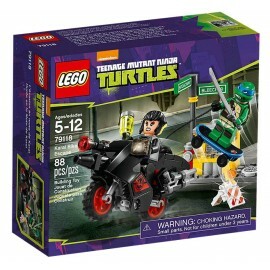 Series : Teenage Mutant Ninja Turtles850646 LEGO® Teenage Mutant Ninja Turtles™ Donatello Key ChainYear : 2013 Take Turtle Power to the streets with Donatello! 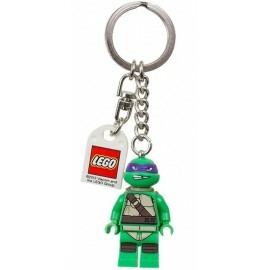 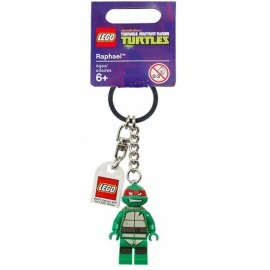 Team up with Donnie in a Turtle-powered ninja battle with a LEGO® Teenage Mutant Ninja Turtles™ Key Chain!